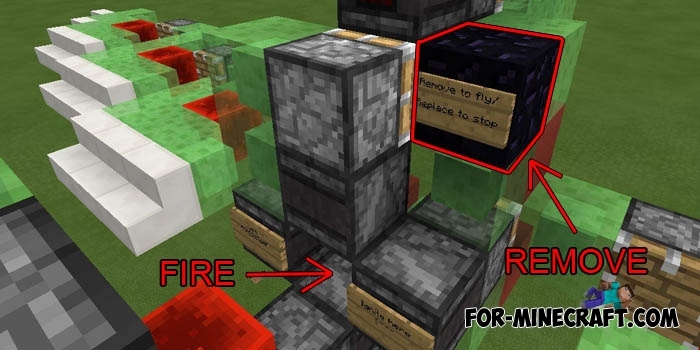 On the Slimeblock Gunship you will find a global redstone mechanism. Build it even in creative mode was very difficult, so the author of this mechanism deserves gratitude. Only a madman would dare to build such a mechanism in the survival. On the blocks you will find signs indicating the different actions.